Relax and enjoy the ‘Gold Coast’ of Lake Tahoe from this classic Rubicon Bay cabin. 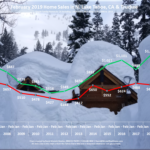 This Lake Tahoe cabin is set on an over-sized +/- .61 acre forested lot that backs to Sierra Creek and conservancy land and is located on the lakeside of the highway within walking distance to the association beach. Cozy and charming, this 2 bedroom, 1 bathroom cabin features vaulted cedar ceilings throughout, an open concept great room, a newer metal roof, and back deck overlooking open space. Take in the peaceful forested views from the back deck. Or take a quick walk down to the association’s waterfront park which features a sandy beach, pier, and buoys. 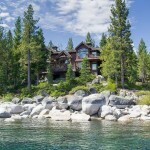 This home is perfect for anyone looking to enjoy their time on the West Shore of Lake Tahoe. Known for its sandy beaches and crystal blue waters, Rubicon Bay is one of the most beautiful places on the lake. With picturesque state parks to the north(Sugar Pine Point State Park) and south (D.L. Bliss State Park), the Rubicon shoreline is a great place to explore by kayak or paddleboard, sightsee, camp, swim, bike, boat, and hike. 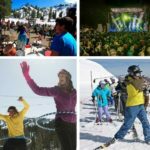 In the winter months, Homewood Mountain Resort is just a quick drive away and offers some of the best views from any ski resort in Lake Tahoe. This desirable Lake Tahoe Cabin is the perfect place to create your Tahoe dream. 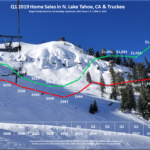 Are you interested in this Lake Tahoe cabin for sale? 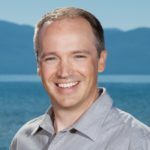 Dave Westall is your Rubicon Bay Real Estate expert and is happy to answer any questions you have. Contact Dave at (530) 448-9882 or David@WestallRealEstate.com.